Since our first steps, we have organised more than 200 projects, exhibitions, conferences, festivals and other contemporary art events. 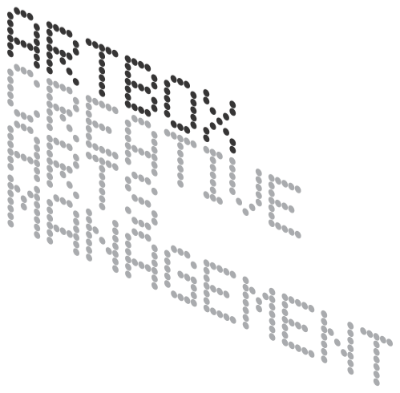 We have been involved, as artistic directors and project managers, in all of the most significant contemporary art events and institutions in the country, among others: Art Arthina - international art fair (2005-2008), Action Field Kodra - annual visual arts festival (2004-2008), Forum European Cultural Exchanges (2000-2010), the Macedonian Museum of Contemporary Art (2010- 2012), Young Artists Biennale of Europe and the Mediterranean (2011), ARETCITYA by Goethe Institut Thessakoniki (2014 - 2019), ARTECITYA by HELEXPO (2015-2019) and LABattoir project (2015 - now). 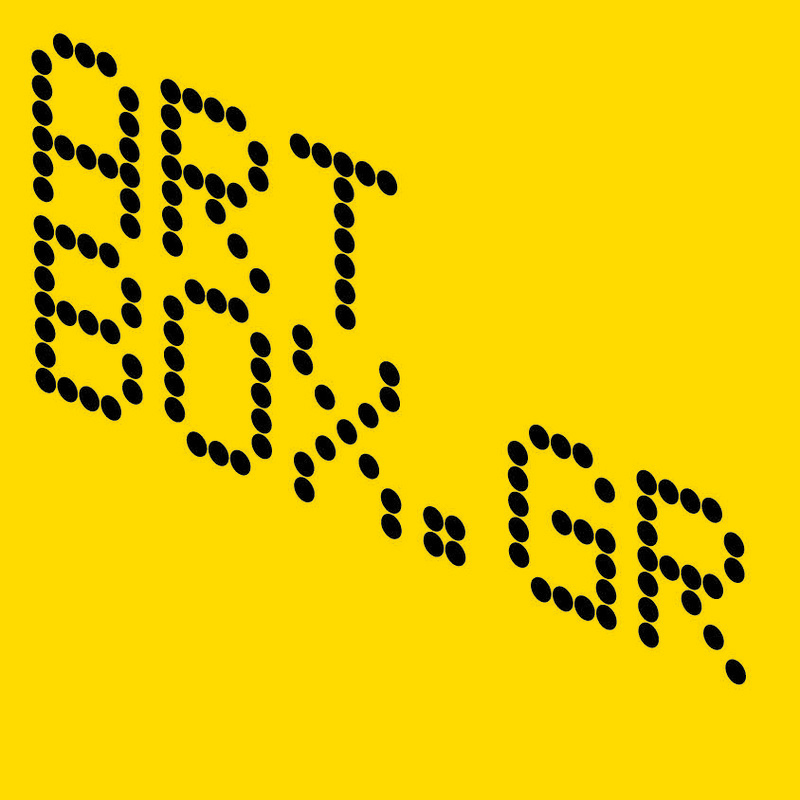 Founding director of ArtBOX.gr | Creative Arts Management, Christos Savvidis has been the Artistic Director of large-scale events such as: Art Athina - Athens international art fair (2006-2008); Action Field Kodra visual arts festival (2004-2008); XV Biennale de la Mediterannee in Thessaloniki (artistic direction and organization, 2011). Between 2010 and 2012, he was Co-Director of Arts Management of the Macedonian Museum of Contemporary Art (Thessaloniki, Athens), and Artistic Director of the Museum's Project Space with Lydia Chatziiakovou. He has organized and coordinated projects, such as: Forum European Cultural Exchanges (founding member and coordinator, 2000-2009); Greek Pavilion in the Venice Biennale (coordination, 2001 and 2006); exhibition "Roaming Images" in the framework of the 3rd Thessaloniki Biennale of Contemporary Art (project leader, 2011). In 2017, he co-organized and coordinated the documenta 14 project Symphony of Resonances by O+A. He has also curated projects and exhibitions, such as: "Moscow Poetry Club / Making Words", within the framework of the international art exhibition of the 53rd Venice Biennale "Making Worlds" (co-curator and co-organizer, 2009); Greek participations in BIDA - International Biennial of Sports in Contemporary Art, Spain (curator and coordination, 2005 and 2007); and "Europe Exists", curated by Harald Szeemann and Rosa Martinez (assistant curator, 2003). Currently he is Artistic Director of ARTECITYA by Goethe-Institut Thessakoniki (2014-2019); responsible for the Concept and Project Management of the project LABattoir, funded by the SNF (since 2015). 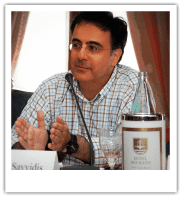 Christos Savvidis is a member of IKT (International Association of Curators of Contemporary Art) and AICA (International Art Critics Association). 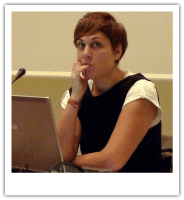 She is also a member of the programming team of the non-profit organization Margaris Foundation (http://margarisfoundation.blogspot.gr, Thessaloniki and Amfilochia, Greece) and, previously, a co-founder (with Stephanie Bertrand) of the group Société Anonyme (www.societeanonyme.gr). She has written texts for catalogues on various occasions and she is the editor of exhibition catalogues and publications. Currently, Lydia is Artistic Director of ARTECITYA by Helexpo (2014-2019); and responsible for the Concept and Project Management of the project LABattoir, funded by the SNF (since 2015). 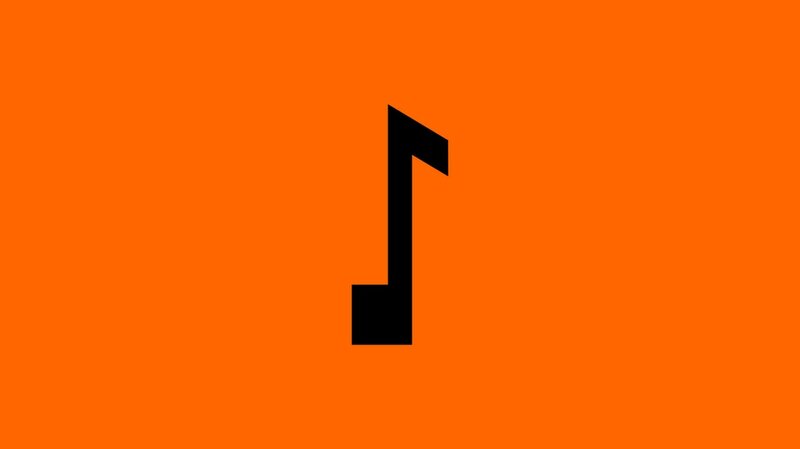 Christian Boltanski, Tania Bruguera, Luchezar Boyadjiev, Candice Breitz, Maurizio Cattelan, Eric Ellingsen, Guerrilla Girls, Mona Hatoum, Damien Hirst, Pablo Helguera, IRWIN, Joseph Kosuth, Ivan Mudov, Nikos Navridis, Christodoulos Panayiotou, Michelangelo Pistoletto, Pedro Reyes, Wael Shawky, Mark Titchner, Vadim Zacharov, and others. Harald Szeemann, Rosa Martinez, Viktor Misiano, Iara Boubnova, Roger Buergel, Ruth Noack, Hans Belting, Daniel Birnbaum, Henry Meyric Hughes, Marta Kuzma, Nato Thompson, and others. ​Our services cover all phases necessary for the creation of a contemporary art exhibition or event - from initiation to closure, from conceiving and shaping the concept, to realising it, presenting it and disseminating it. Thanks to our experience, we can adapt to developments and changes without risking the end result.